Whether they've got crazy focal lengths, crazy angles of view, crazy-fast apertures or some other weird feature, these lenses take the cake for some of the strangest lenses ever made. Most aren't available for purchase anymore, or if they are, they command a hefty price tag. But some are still in production and can be ordered right now, today (but still for a hefty price tag). 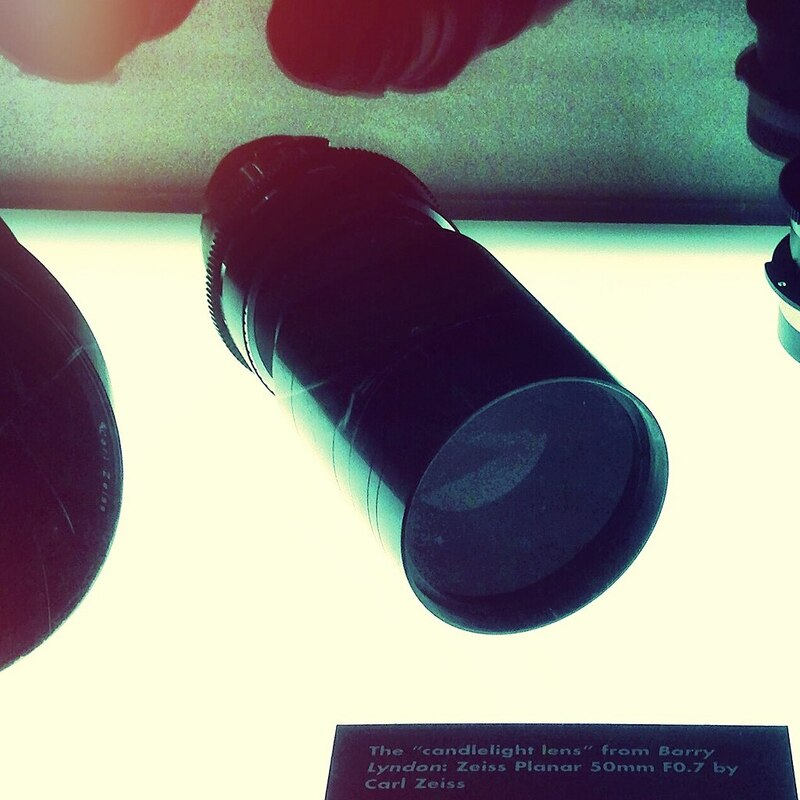 Without further ado, check out the craziest camera lenses ever made. If you're looking for a small, discreet telephoto lens, this is definitely not it. This giant Sigma is still in production and can be purchased for just under $26,000 (you get free shipping, though!). 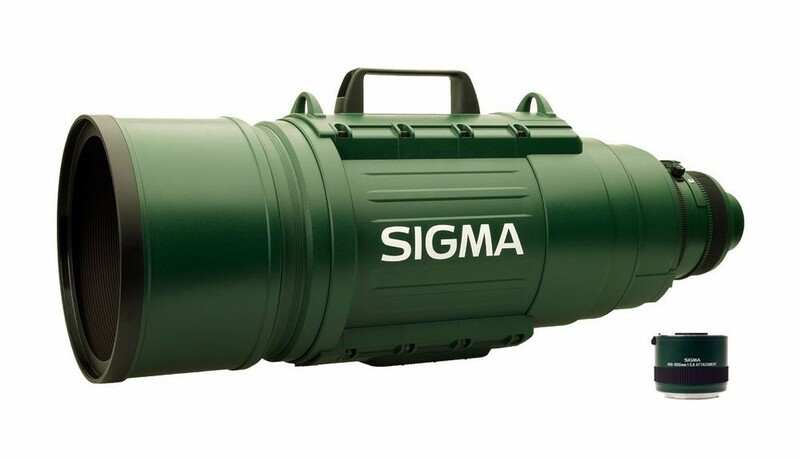 Weighing in at nearly 35 pounds and almost 29 inches in lengths, this is one heck of a lens, that, with its military green paint, looks more like a rocket launcher than a camera lens. You can even use the included 2x teleconverter to reach the 400-1000mm focal range if 500mm isn't enough. It's got its own battery system to power the autofocus and zoom. It's also got a built-in LCD so you can easily read the focusing and distance numbers. 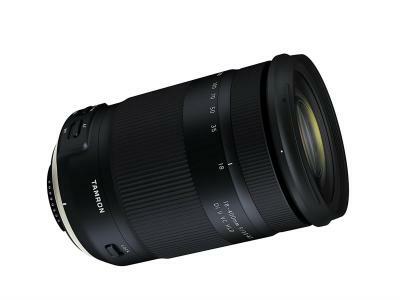 For wildlife, astrophotography, and sports photographers, this lens will surely get you some up-close and detailed shots! When this lens was originally developed in the 1980s, it was for Canon's FD mount cameras. Towards the late 80s they reappeared with an EF mount, but both times in small numbers. Because of their enormity, each lens was handmade, which accounts for the small production numbers over the years. That also accounts for the huge price tag of $80,000 back in the day. Yikes. Most of these lenses were purchased by news organizations, wire services, and sports magazines to cover worldwide events. A few even went to government agencies like law enforcement who wanted a long lens to conduct surveillance. These lenses are no longer in production, but every so often you'll find rumors on the internet that one is up for sale - for a giant price, too. 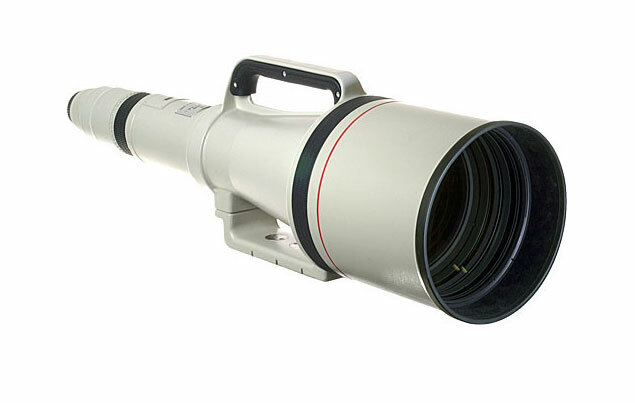 This enormous lens uses a host of mirrors that stretches its focal length to a precise 5,150mm. According to Canon's information sheet on this behemoth, they recommend using it for photographing objects that are between 18-32 miles away. Yes, miles. In fact, its minimum focusing distance is 120 meters! This isn't exactly a lens you can carry around with you, either, considering it weighs well over 200 pounds and is almost 76 inches long. 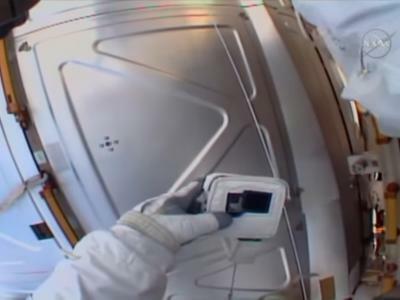 It's hard to wrap your mind around that sort of size, but if you watch the video above by HDCAMAN, you can get a feel for the sheer size of this thing. Way back in the 1970s, Leica introduced the Noctilux-M 50mm f/1 ASPH. At the time, it was one of the fastest lenses available. 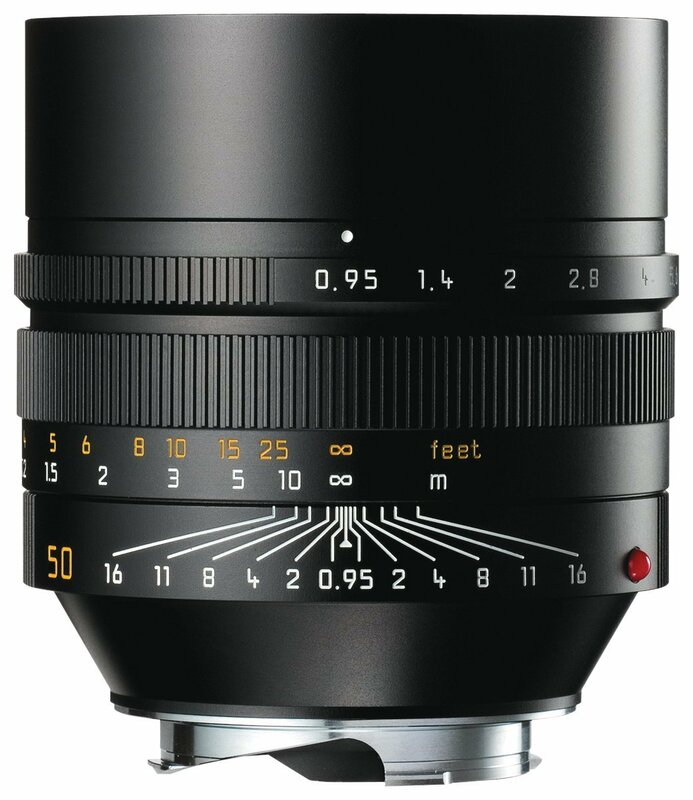 Today, Leica offers an updated version of the world's fastest aspherical lens - the f/0.95 shown above. Naturally, it also produces an incredibly shallow depth of field, just in case you want to take a portrait in the dead of night with a super blurry background. This lens is actually still available, but doesn't come cheap. Brand new, you're looking at shelling out a shade under $11,000. The next time you're at a dinner party and want to impress the other guests with your knowledge of rare camera lenses, you might mention this Carl Zeiss lens. This little guy was made specifically for one purpose - to be the first lens to photograph the backside of the moon. Given that detail, it's understandable why it has a maximum aperture of f/0.70! Another fun fact is that Stanley Kubrick used this Zeiss in his film Barry Lyndon. 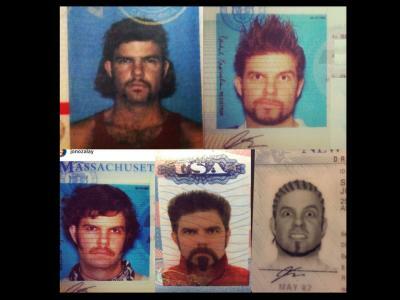 Who knew?! 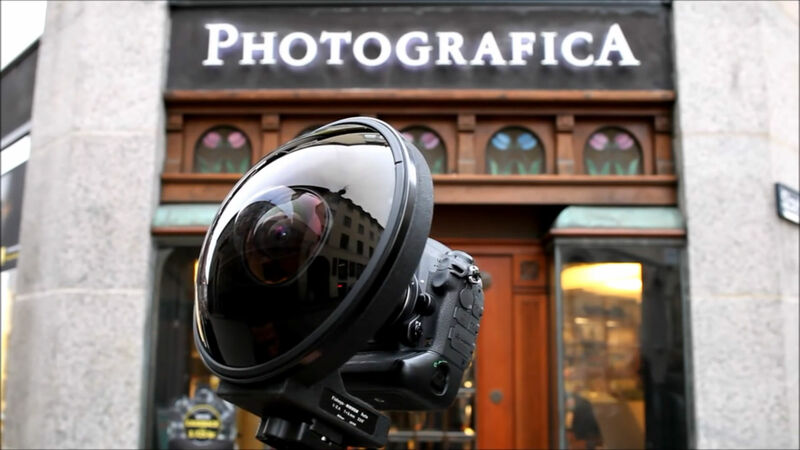 Perhaps the most ridiculous looking lens on this list is the Nikon 6mm f/2.8 Fisheye. The original version of this lens - which was released in 1969 - was the first lens in the world to offer a 220-degree viewing angle. That lens was an f/5.6, so the modern f/2.8 version is not only much faster, but it doesn't require you to lock up the mirror like its predecessors did. Instead, Nikon created an in-lens filter system with five different colored filters for creating artistic effects. Apart from being odd, crazy, or expensive (or all of the above), what these lenses have in common is that they're rare, and in some cases vintage. The great thing about vintage glass is that photographers like you and me take care of our gear, so there are all sorts of deals to be found on quality, pre-owned glass. I'm of course talking about more mainstream lenses here, but hey, you never know when a crazy lens like one of those described above might pop up somewhere online! 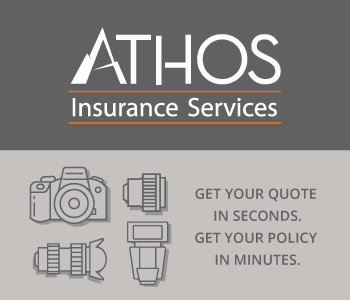 Since we all know how expensive photography can be, buying quality used lenses is a great way to save some money. Heck, you might even be able to buy a couple of lenses for the price of one new one. If you're in the market for new glass, there's no better place to look than Lensfinder. Lensfinder is a marketplace by photographers, for photographers. Not only is it easy to search for the lens you want, but it's also easy to buy. You can communicate with other Lensfinder members (creating an account is free) right within the platform. And when you find the lens you want, you pay via PayPal so everything is secure. What's more, Lensfinder has fraud alerts built right in as well as a rating system so you know just how reputable each seller is. There's lenses of all sorts and kinds (sorry...no Sigma behemoths at the moment), and with more and more folks choosing to use Lensfinder as their platform for buying and selling lenses, more inventory is constantly being listed. I've used Lensfinder a couple of times already, and I have to say that it's been precisely the kind of experience I want - quick and painless! Visit Lensfinder to search their inventory of pre-owned lenses and see what sort of lenses you can find.